Novak Djokovic's racquet of choice, this one offers the advanced level player all the control needed to dominate the court with aggressive play. The tight, 18x20 string pattern combines perfectly with the 100 square inch headsize to offer control, power, spin and feel from all areas of the court. From the baseline a long fast swing results in controllable power. The stringbed offers enough bite to add heavy spin, yet the tight string pattern offers the perfect feel for controlling flat shots. At net the racquet feels fast and responsive. Control is excellent and the racquet provides all the feedback needed to help the player find his/her targets on touch shots. Serving with the Speed 18x20 results in easy access to both pace and spin thanks to the racquet's maneuverable feel. All in all this is an impressive offering from Head and a great update to the Speed line.Note: Racquet does not come with cover. 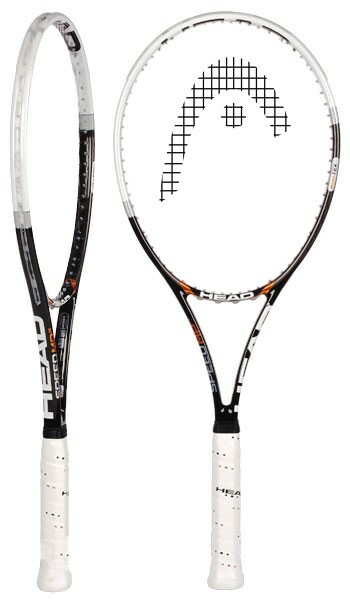 The Head YOUTEK IG Speed 18x20 Tennis Racquet is now available online in India.